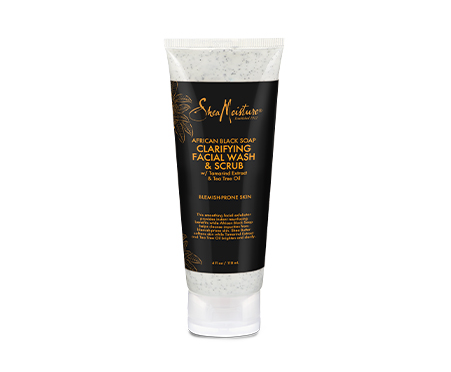 This smoothing facial exfoliator provides instant resurfacing benefits while helping to balance blemish-prone skin. 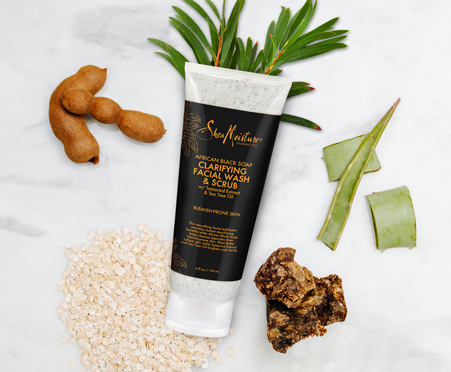 African Black Soap and Shea Butter combine with Kaolin Clay to absorb impurities and detoxify skin. Tamarind Extract and Tea Tree Oil brighten and clarify skin.